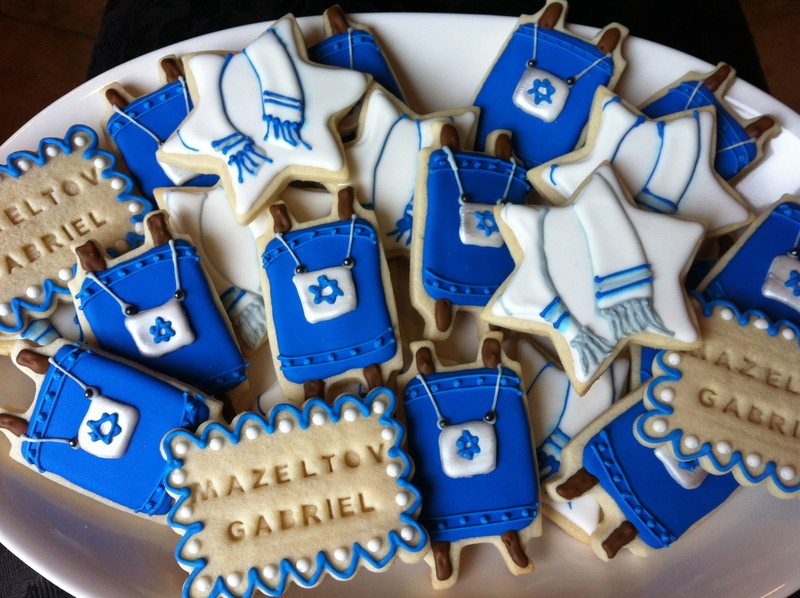 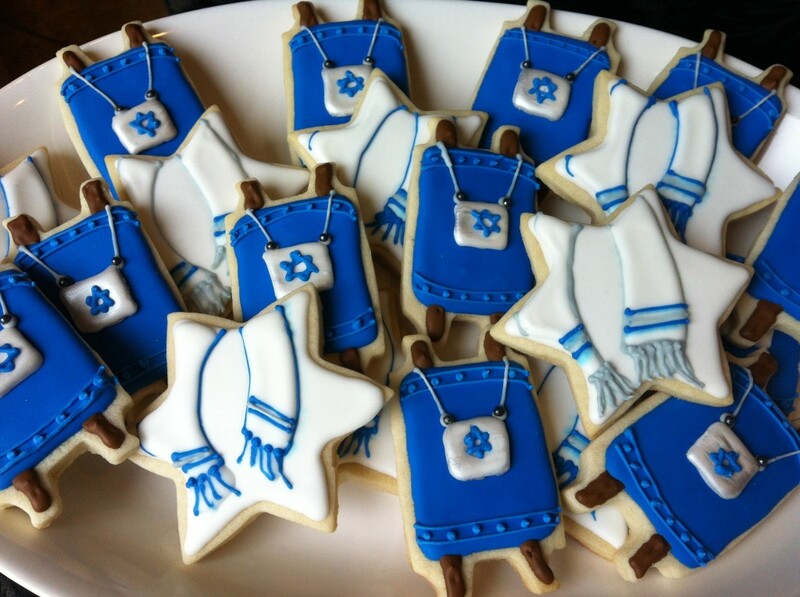 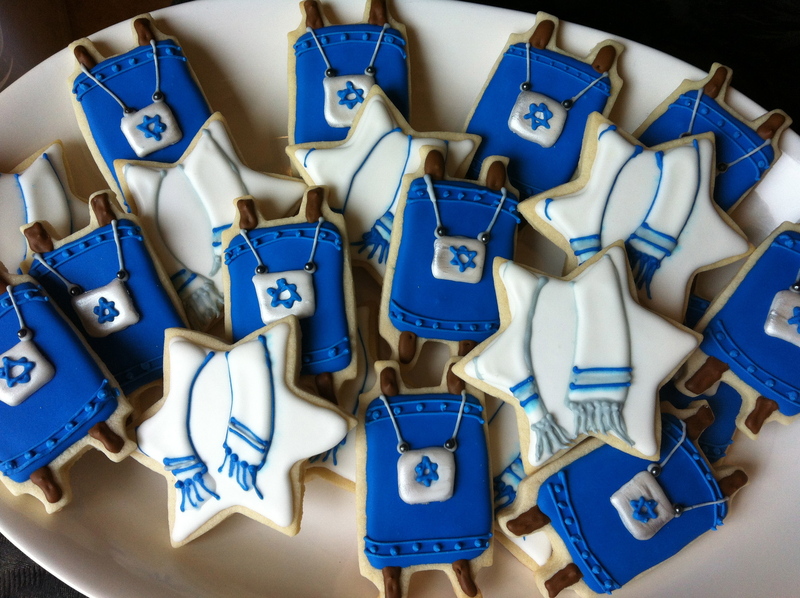 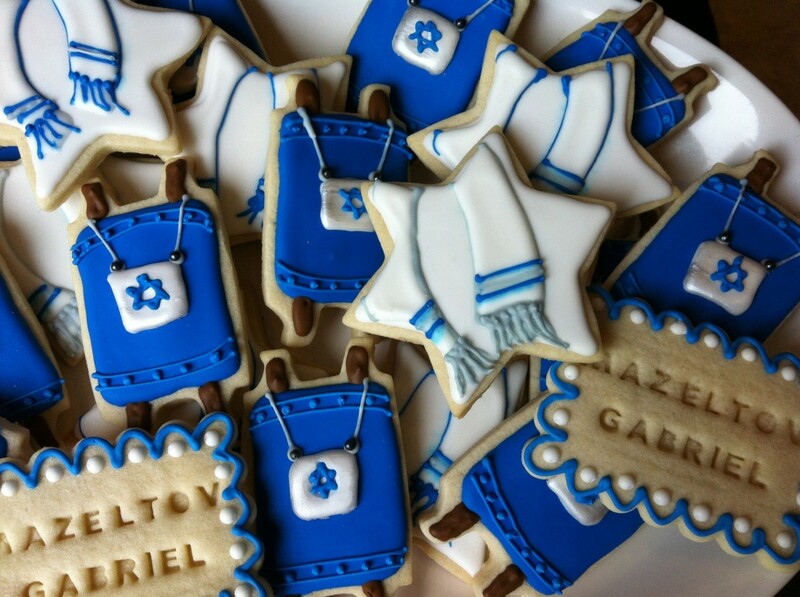 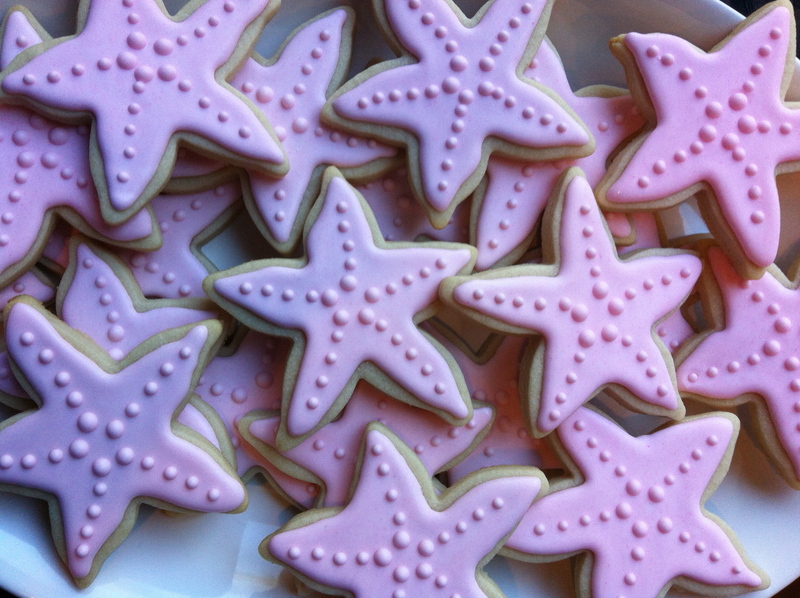 There is just something very elegant about a solid colored cookie! The star fish is one of our absolute favorite cookie cutters. 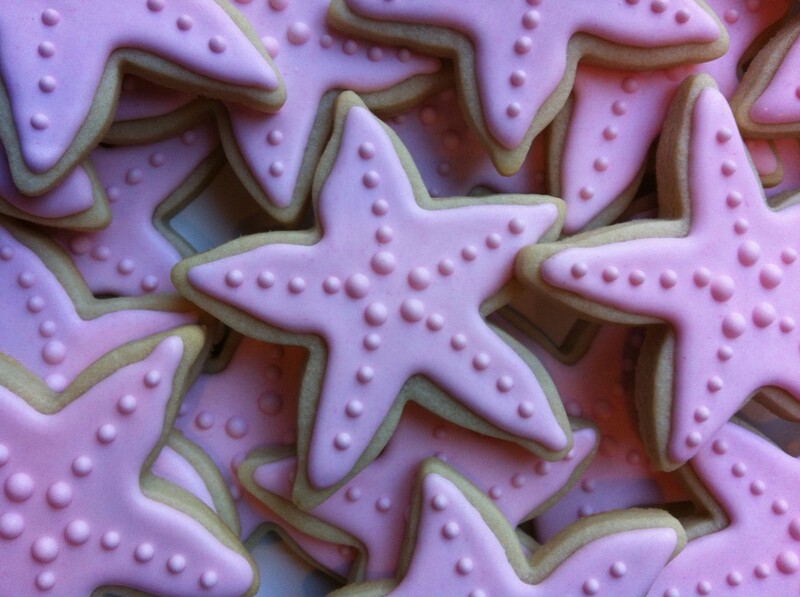 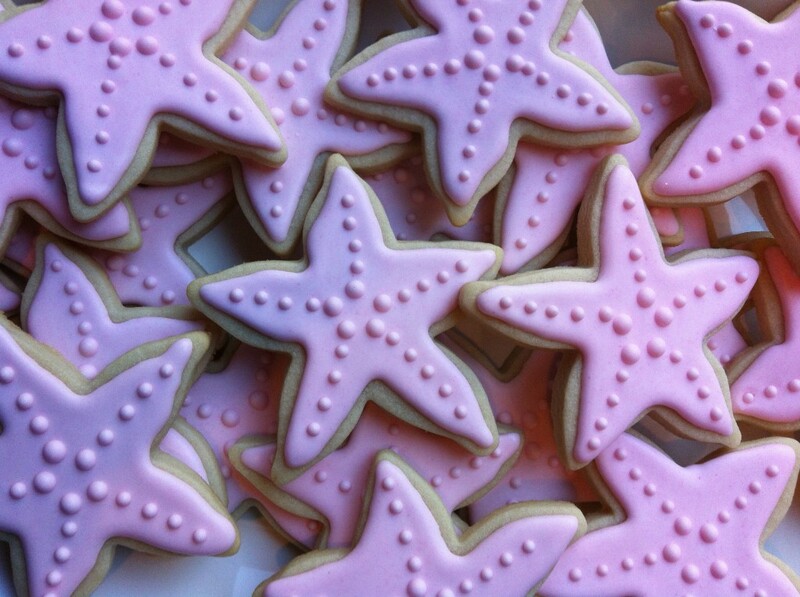 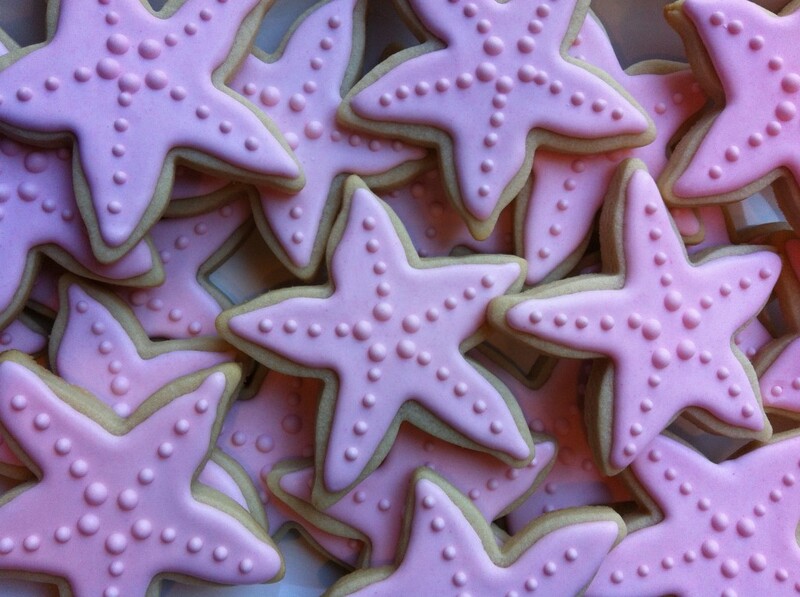 We made these pale pink star fish for a beach themed baby shower. 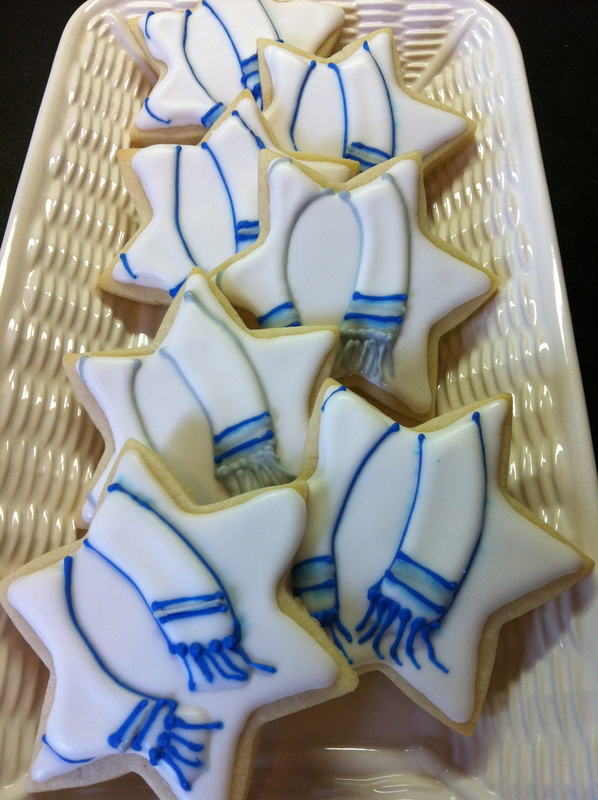 We also love them in white too!